Our mission is to provide your loved one with Alzheimer’s or Dementia the individualized memory care and support they need. 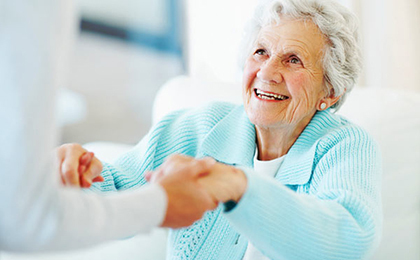 We want all of our clients to live with dignity and purpose, enjoy optimal health and emotional well-being, and maintain connections to the people, places, things, and memories that matter most to them. Click here for real-life stories of the connections our caregivers make with our clients. BrightStar Connections is the only in-home Alzheimer’s and Dementia program of its kind. We believe that the lives of our clients can be enriched with person-centered care that preserves dignity, provides assistance, and promotes activity in a setting that is comfortable and familiar, their home. Our mission goes beyond just personal safety and care – we are driven by establishing meaningful connections with those we care for. RN Involvement — A Registered Nurse who is certified in BrightStar Connections leads your loved one’s memory care team. Our experienced nurses create an individualized plan of care and provide oversight of the direct care staff to ensure the safety and comfort of your loved one. They understand that behavioral expressions, while common, require a specialized approach and train our certified dementia specialist caregivers accordingly. The BrightStar Care RN Director of Nursing is available to answer any questions you have. Communication — In order to provide the highest level of support and well being, regular Care Connection Meetings keep you informed and involved with your loved one’s care. Our team collaborates closely with clients, family, and other healthcare providers. Education and Support — Family education materials feature resources from the Alzheimer’s Association and highlight topics such as family caregiver advice, health and wellness tips, and more. Additionally, your loved one’s care team can provide any additional guidance or support when you and your family are faced with difficult decisions. Specially designed tools and resources are available exclusively through BrightStar Care to help you navigate this journey. Call BrightStar Care today at 866-618-7827 to learn more about our specialized Alzheimer’s and Dementia care options and to find a location near you.